Cook said diversity "makes us stronger and moves everyone forward." 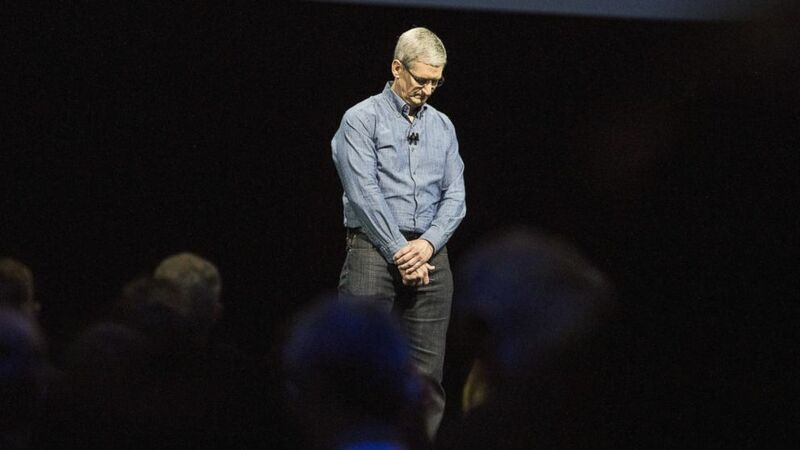 camera (Andrew Burton/Getty Images) Apple CEO Tim Cook leads the audience in a moment of silence in tribute to the victims of the Orlando shooting at an Apple event at the Worldwide Developer's Conference, June 13, 2016, in San Francisco. Before Apple CEO Tim Cook kicked off the company's annual Worldwide Developers Conference in San Francisco today, he took a moment to express solidarity with the city of Orlando. "We offer our deepest sympathies to everyone whose lives were touched by this violence. It was a senseless, unconscionable act of terrorism and hate aimed at dividing and destroying," he said. Cook, who has been a champion of diversity at Apple, said he believes the different backgrounds of the people who work at Apple make the company stronger. "We celebrate our diversity. We know that it makes us stronger and moves everyone forward," he said before asking the 5,000 attendees at the conference to join him in a moment of silence to honor the victims and those touched by Sunday's deadly shooting in Orlando. Apple's Worldwide Developers Conference, a major annual event for technologists looking to the next big thing, brings together innovators from around the world.